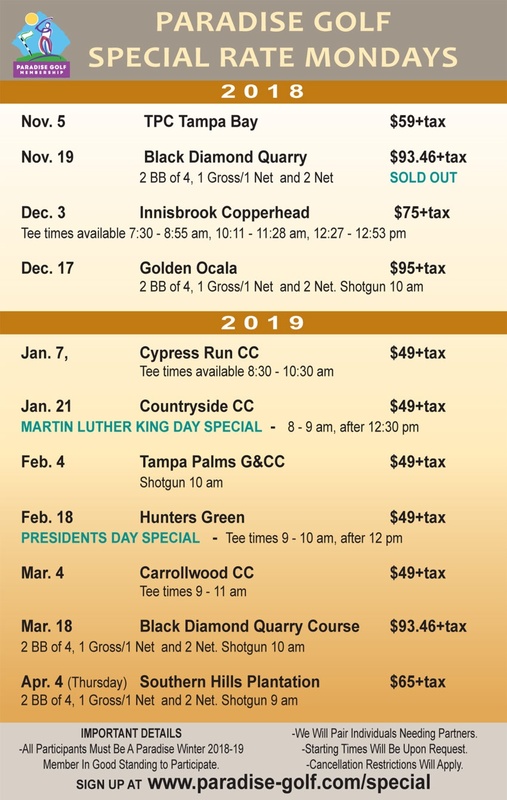 Welcome to our first ever Special Rate Full Monday Schedule of Evetns at Great Rates to awesome golf courses and clubs. Our schedule of events follows below. CLICK HERE to register and to prepay for one, a few or all of these events. Each event will have more detail shared on our winter member newsletter as events come up.